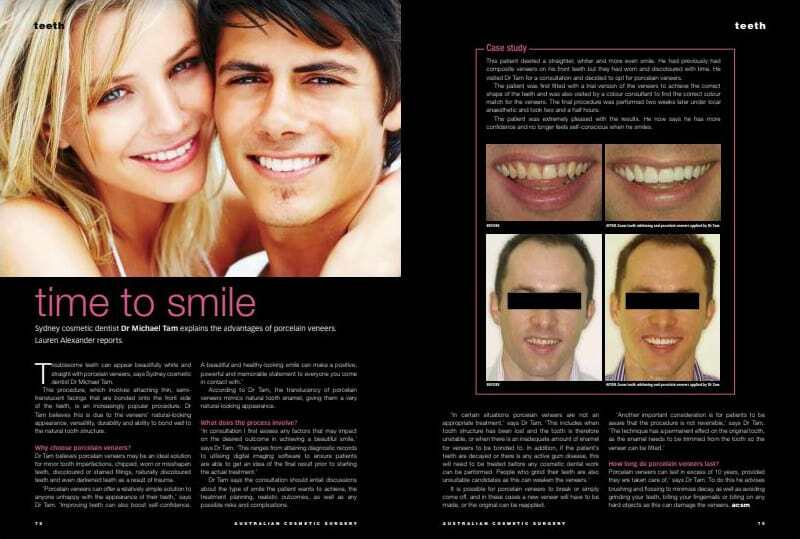 Read about Sydney cosmetic dentist Dr. Michael Tam explaining the advantages of porcelain veneers to Cosmetic Beauty Magazine reporter, Lauren Alexander. Porcelain veneers can offer a relatively simple solution to anyone unhappy with the appearance of their teeth, A beautiful and healthy-looking smile can make a positive, powerful and memorable statement to everyone you come in contact with. Create a confident smile with these seven cosmetic options. Tom Cruise has one of the most famous smiles in Hollywood - but he wasn't blessed with naturally pearly whites.